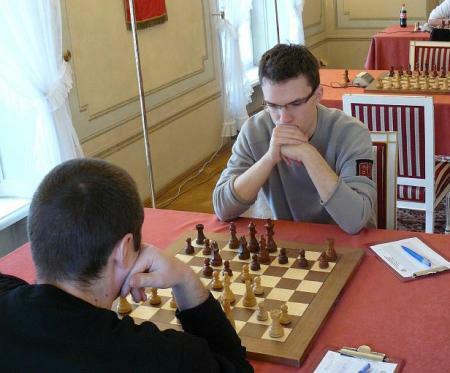 Mateusz Bartel is a 23-years old Polish Grandmaster, currently rated 2579 FIDE (peak rating in January was 2613). He was U18 European Champion on 2003 and vice-champion on 2002, vice-champion of European Union on 2005 and Polish Champion on 2006. On the international chess scene, he was winner or co-winner in Legnica (Poland) 2001, Drammen International (Norway) 2004/2005, I Open Illes Medes (Spain) 2006/2007 and Monarch Assurance International (Isle of Man) 2007. We first met him during the ETCC on Crete, where his team Poland finished excellent 4th after the two starting defeats. Chessdom: Hello Mateusz, thank you for accepting the interview. What has got you attracted to chess, how did you start playing? 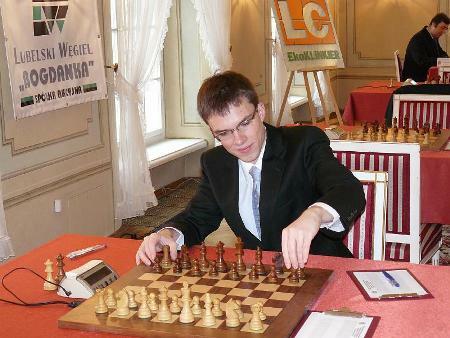 Mateusz Bartel: I began playing chess in a rather original way. My younger brother Michal and I were ill (Chickenpox) and our father Marek decided to teach us how to play. Maybe he didn’t want to look after us We were 5 and 6 so it was good age to start to play. We both liked the game and soon after we started our career in Polonia Warsaw club – the best club in Poland over the period of about 15 years. I was representing this club during my entire career, only this spring I changed club for Polonia Wroclaw. Once again I would like to emphasize the role of my father in my career. He not only explained me the rules, he was also my first coach (being amateur!) and also – and this is very important – always supporting me both financially and mentally. I have never heard from my father bad words about my results but he was always angry when I was not training – so in my opinion this is the best support that a father can give you. Chessdom: Tell us more about your family. Who else is playing chess? My father played probably something like 10 tournaments in his life, but the last one he played was very spectacular. He told me that he can play the event but I must prepare him. I took the task and he shocked everybody. He was rated 1800 (national rating) and his rating performance was 2246! That was his first ELO rating. It was 8 years ago and since then he hasn’t played any other tournament. 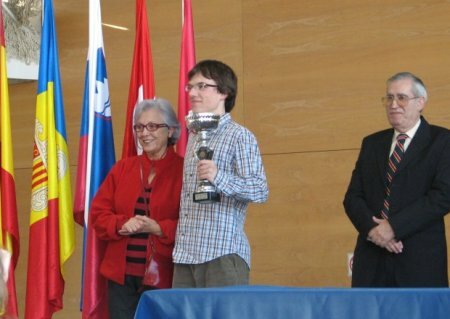 Chessdom: In the recent years a number of strong Grandmasters have emerged in Poland. Can you tell us more about the chess development in your country? Mateusz Bartel: Over some time you can notice interesting phenomenon on the Polish chess scene – there are almost no interesting tournaments but every year we have new grandmaster(s). This is very strange because in the past we had lots of interesting events with many GM’s, like Polanica Zdrój (very strong closed tournament in 1998 with Karpov, Leko, Shirov, Oll etc.) Koszalin, Świdnica and some other. I hope it will get better, because right now top GM’s and young talented players are usually forced to play abroad. Maybe we also need a leader. One player with high rating would create higher level of competition between our top players. Chessdom: Is the national team to represent Poland at the Chess Olympiad already announced? What are the expectations? As you probably remember, Polish men’s team achieved big success last year when we finished at 4th place in European Team Chess Championship on Crete. And you can’t forget that we started by losing 2 first matches versus Montenegro and Iceland! Luckily we had a fantastic team spirit which helped us to fight till the end. The coach proposed the same team like last year – Soćko, Wojtaszek, Mitoń, Gajewski and me. From one point of view it is logical to take the same team which achieved success, but still this is controversial as all nominated players are in some kind of small crisis losing some ELO points, and we have other players like Krasenkow, Markowski, Kempiński, Macieja and some others GM’s. First three, as far as I know, would prefer not to play, but Macieja – the former European Champion – is strongly interested in playing at the Olympiad. Everything will be probably decided at the beginning of September, just after the summer tournaments. Chessdom: How many hours daily you devote to chess study? Do you work with a trainer or on your own? Which software is necessary for the top preparation? Mateusz Bartel: It is hard to say how much I work because I am not a professional. I am a student in Warsaw Agriculture University an it takes a lot of time. So I am working but not regularly. My coach is Adrian Mikhalchishin and I work with him from time to time. Chessdom: Could you say something about your tournament routine – how long and in what way do you prepare, what are the habits during the tournaments? Mateusz Bartel: My preparation is probably nothing special. I am always trying to know as much as possible about my opponent. I really dislike to be somehow surprised in the opening, so I usually check all the lines my opponent can play. Sometimes it takes a lot of time. Chessdom: Are there enough of good tournaments for you to play in? Do you receive invitations? Mateusz Bartel: This is not so bad as I play in “official” tournaments like Polish championship, European championship etc. Chessdom: What are your plans in the near future? Mateusz Bartel: Portuguese league, Sants Open in Barcelona and Polish league. Mateusz Bartel: Thank you for the interview!